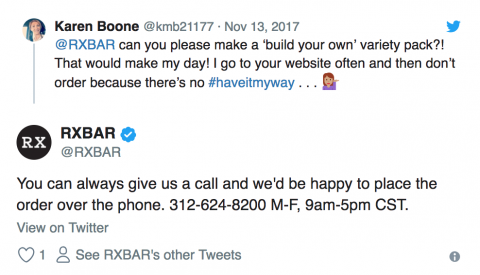 Customers are turning to Twitter to share rave reviews, express frustrations, and quickly connect with brands. Find out how to benefit from it for your business. Due to social media, customer service is not something what it used to be. You see, nobody has time to sit on hold for an hour or spend days stuck in a ceaseless email chain to get their queries responded anymore. Yes, it is a time everything fast forward and time is of the essence. An investigation confirms that almost half of all customers have taken to social media to raise questions and concerns to some products. And what more interesting is that a great number of such back and forth happens in Twitter, especially in the Twitterverse. For this reason, besides the customer support on a marketplace, a concrete Twitter customer support knowledge is essential and it is a must for your marketplace to have a twitter customer support where all the sellers want to keep their customers happy. Actually, Twitter is one of the most effective means for spreading opinions. People use Twitter to share shining reviews, express their pleasures or frustrations, and also quickly connect with different desired products. It is quite speedy to respond to social customer service requests in no time. Studies show that when a customer Tweets about a business and receives a reply, they are usually willing to spend 3–20% more on an average-priced item from that business in the future. Unlike other social media platforms, Twitter provides short, straight to the point, meaningful messages about your business and an effective way to connect with new people, which is significantly important from a business perspective. But, do you know how busy products and social media managers can offer their customers the best Twitter customer support? There are a certain number of Twitter’s features that you can use to provide better support to your customers. These features hold the nuts and bolts of customer support best practices. They will help you show your support time and, as a result, people will be able to know when they can expect to hear from you. You can enable direct messages which will help the customers to share more complex issues or private customer details directly with you. You can turn on the ‘support’ option which will help customers instantly see your brand’s Twitter account is really customer-support friendly. You can also use ‘welcome messages’ which will give people an opportunity for typing a direct message to share with you. When you have a simplified way to monitor your brand mentions and keywords, providing customer support becomes easier. The sooner you know that someone has knocked you, the quicker you can answer back. Actually, answering to and starting the right conversations is the foundation of providing good customer support. You have to remain prepared to catch such opportunities whenever they arise. For some companies, monitoring brand mentions on Twitter begins and ends just with checking their notifications. But, remember, Twitter notifications only give you a partial picture of your Twitter presence. Try to focus on Tweets to your account, brand mentions, product mentions, common misspellings of these terms, and relevant keywords. These things will help you provide an opportunity to engage with customers and build stronger relationships. When you will receive a lot of requests, you have to prepare a plan to prioritize them. Requests can be of varied types; some questions may require just a public response, whereas others may contain sensitive requests - for instance, full names or account information. Whatever sensitive requests be it, you should handle them via direct message or DM. Again, some extremely technical or specific requests may require dealings outside of Twitter. When you are ready with your social media manager or digital customer support team and have a pre-plan to respond to different types of requests, you can delight the customers each and every time. Response templates are usually used by some brands for some common queries. Undoubtedly, they can help you save time and also help you respond speedily to many requests. However, if you personalize those responses, you can create stronger relationships with the customers. Keep in mind people really love to see emotion, humor, and the face behind your products. Also, try to do initiating or signing your name to each Tweet while Tweeting. It’s easy to provide great customer support on Twitter and it’s also a good business. Try to make sure that the most of the customer support tools are available, prepare a perfect plan, and put emphasis on personalized, customer-focused responses in order to provide engaging social customer support. If you consider using Twitter for customer support responses as a strategy, make sure you do the same process with each client. Respond to both negative comments and positive posts about your business. Using social media, especially Twitter can really help build the connection between your customers and your business.